Monarch Air Group provides private air charter in Topeka, KS. Our clients benefit from top-notch service, unrelenting dedication to safety, wide selection of aircraft, and years of experience in chartering private jets. To obtain a free quote, please use our online quoting tool provided below, or call toll free 1-877-281-3051. Monarch Air Group provides private jet charter flights in and out of Topeka, Kansas, USA. 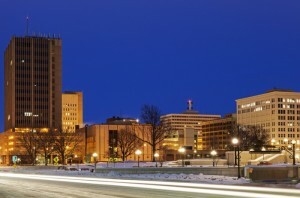 Located along the Kansas River, Topeka is the capital of Kansas, in the east central part of the state. The population of the city is about 127,473 people and the total area is 61.47 square miles. The main companies based in Topeka include Collective Brands, Westar Energy, CoreFirst Bank & Trust, Hill’s Pet Nutrition, Capitol Federal Savings Bank, Sports Car Club of America. The most popular places of interest are Brown v. Board of Education National Historic Site, Combat Air Museum, Kansas State Capitol, Heartland Park Topeka, Reinisch Rose Garden and Doran Rock Garden, Kansas Museum of History, Topeka Zoo, and many others. The nearest airports are Manhattan Regional Airport (MHK / KMHK), which is situated 67 miles from the city, and Kansas City International Airport (MCI / KMCI), which is situated 72 miles from Topeka. 1. EMP, Emporia, Emporia, United States. 4. FRI, Marshall AAF, Fort Riley, KS, United States. 5. GVW, Richards-Gebaur, Grandview, United States. 6. JCI, New Century Aircenter Airport, Olathe, KS, United States. 7. KCK, Fairfax Municipal, Kansas City, United States. 8. LWC, Lawrence, Lawrence, United States. 9. MCI, Kansas City International Airport, Kansas City, United States. 10. MHK, Municipal, Manhattan, United States. 11. MKC, Downtown, Kansas City, United States. 12. OJC, Johnson Executive, Kansas City, United States. 13. STJ, Rosecrans Memorial, St Joseph, United States. 1. Senate Luxury Suites Hotel, 900 Southwest Tyler Street, Topeka. 2. Holiday Inn, 605 Southwest Fairlawn Road, Topeka. 3. Capitol Plaza Hotel, 1717 Southwest Topeka Boulevard, Topeka. 4. Senate Luxury Suites Hotel, 900 Southwest Tyler Street, Topeka. 5. Holiday Inn, 605 Southwest Fairlawn Road, Topeka. 6. Capitol Plaza Hotel, 1717 Southwest Topeka Boulevard, Topeka. 7. Senate Luxury Suites Hotel, 900 Southwest Tyler Street, Topeka. 8. Holiday Inn, 605 Southwest Fairlawn Road, Topeka.